BitConnect was abruptly taken offline on Tuesday following multiple cease and desist orders in two U.S. states. North Carolina and Texas authorities have long suspected that the controversial crypto exchange has been designed as a Ponzi scheme from the very beginning. According to Bloomberg, two top regulators in the said states warned BitConnect that it lacks a license to trade securities across the states. Regulators also noted that the exchange had been touted the operations as “safe” ways of earning big returns, but it has so far failed to provide investors with the necessary info about the algorithms powering the Trading Bot. In response, the company complained that the “continuous bad press” had eroded the public’s trust in the platform. It also placed the blame on numerous “DDos attacks” that had weakened the platform and panicked the community. It assured users that the BitConnect Coin (BCC) could still be traded on other platforms. BitConnect traders first needed to invest real money in BCC to access the platform. The company has long promised high returns if the loans were long-term enough. However, many analysts accused the platform of running a Ponzi scheme-like business by funding the big returns from new BCC investments from new users. BCC has started shedding value this month and analysts expect a big crash just around the corner. Tech Crunch reported that while the platform has been refunding older loans at $363.62 per BCC over the last 15 days, BCC is worth less than $40. So, many users have reported “severe financial losses” in lost Bitcoins or U.S. dollars. Most of the original investments were made in Bitcoins. TNW confirmed that BCC’s value jumped to $425 about a week ago, but it is now hardly worth $30, and its value continues to plummet. Samsung Electronics announced that its operating profit for the last quarter jumped 64% pushing the tech giant’s annual sales and operating revenue to the highest levels in the company’s history. The South Korean company thanked its booming semiconductor business for the gains. 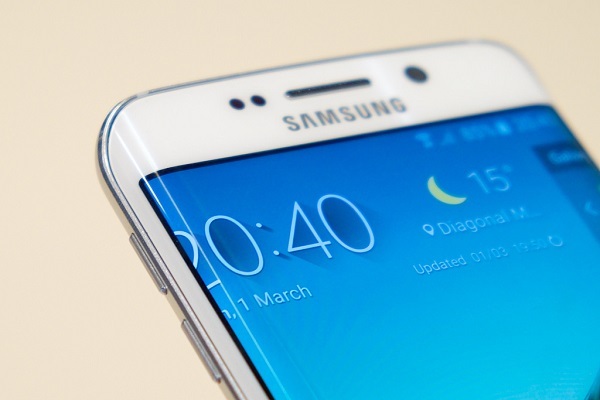 On Tuesday, Samsung offered a preview of its earnings report for October-December. The operating profit now stands at $14.1 billion, a significant increase from the previous year’s levels. However, the operating profit has missed analysts’ expectations due to the appreciation of the won against the U.S. dollar and a series of bonuses to its workers in December. The company gave employees $655 million in bonuses over the last 12 months. The sales for the last three months jumped 24% to $61.8 billion, which marks the highest level in the company’s history. The operating income in the last year hit $50.2 billion, which marks an 83% increase from 2016 levels. Also, annual sales saw a big rise (19%) to $224.2 billion. The company has not released the figures for the quarterly net profit. It promised to offer all the details by the end of the month. Analysts agree that business has been so good for Samsung due to its semiconductor unit. Its memory chips have sold like hot cakes due to a skyrocketing demand as the world needs more storage space for media files on devices and servers. There is also a huge demand for more computing power which pushed the sales of Samsung memory chips to record-high levels. Samsung currently dominates the market as it produces more than half of DRAM memory chips and one-third of NAND memory chips sold worldwide. DRAM chips boost computing power, while NAND chips are used for enhanced storage. The price of the memory chips saw a big jump last year but that did not shrink overall demand. The Walt Disney Company apparently wants to buy some entertainment assets from 21st Century Fox. 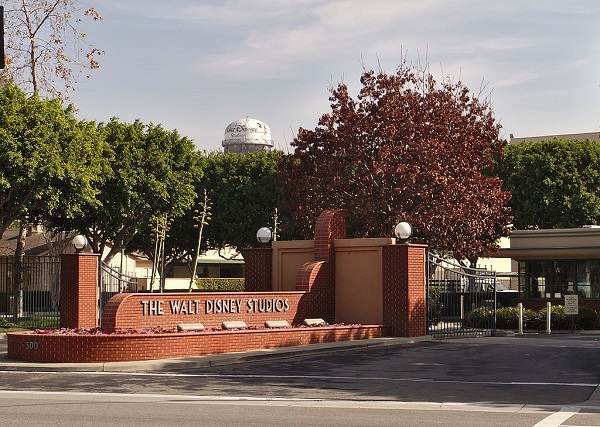 Among the assets in question, Disney was also reportedly interested in acquiring Fox’s movie and television branches along with the FX cable network and a share of Hulu. Conversations between the two entertainment giants have also reportedly ended with no announcement becoming available at the moment. Both Disney and Fox representatives have also refused to comment when asked about a potential sell. That doesn’t mean they didn’t strike a deal. Analysts concluded on Monday that Disney’s acquisition makes sense in the long run. Disney can strengthen its line-up of TV shows by taking from Fox’s production business strategy as the company lacks a strong television presence by comparison. Analyst at RBC Capital Steven Cahall acknowledges the potential Disney can achieve if Fox will give in. Especially considering the company will release its own Netflix-esque streaming platform soon. The company follows in the steps of other industry giants who are assimilating or buying out their rivals. Multinational company AT&T is in the final stages of acquiring Time Warner and in July Scripps Media was bought by Discovery Communications for over $11 billion. It’s clear that to gain a footing in today’s fast-paced streaming world being medium-sized like 21st Century Fox doesn’t cut it anymore. While the sources who spoke on the matter decided to remain anonymous, the news can also mean that the Mouse House wants to complete its Marvel lineup. Fox owns several Marvel characters such as Wolverine and Deadpool, and it makes sense the interested party would want to have the family all in one place. It remains to be seen if Fox gives in. Most online publishers despise the popular first click free rule, as it made them lose subscribers and suffer financial losses. Now, Google decided to drop this rule, and found a way to help these publications gather subscriptions and still maintain their prominence among other search results. A recent blog post from Google officially announced the company was dropping the first click free rule. This rule forced publishers to offer three of their articles for free every day, so that the search engine would boost them among the other results. However, publishers aren’t big fans of this rule as, over time, it came to affect their revenue. Google understood this method wasn’t helping publications, so it decided to adopt a more flexible approach. This new model will allow each publisher to make its own decision, and decide how many free articles per day it wants to offer for the readers. The possible ‘customers’ get the chance to see a small sample before deciding to subscribe, but publications are no longer forced to offer too much of their content for free. Google wants to add some more features, apart from the removal of the first click free rule. The company will soon adopt a model which will ease the subscription process. Given all its resources, Google will make it possible for people to subscribe through a single click, and then get unlimited access everywhere, including the website itself, the special app of the publisher, Google News, or through a search. Giving up on the first click free rule is one of the best choices Google could make. 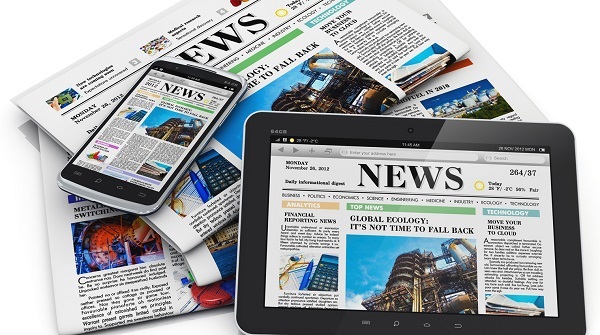 Focusing on a better subscription models is extremely helpful for online publications, and the trials performed with several online news giants have proven successful. The Dakota Access Pipeline development attracted several thousand environmentally-conscious activists to protest against the project. The tensions are still strong as the Energy Transfer Group, that is behind the pipeline project, filed a lawsuit against Greenpeace and affiliated nonprofits on Tuesday. EarthFirst! and BankTrack are the two other groups that have joined Greenpeace in protest of the pipeline. Energy Transfer Group believes they are “rogue eco-terrorist groups”. 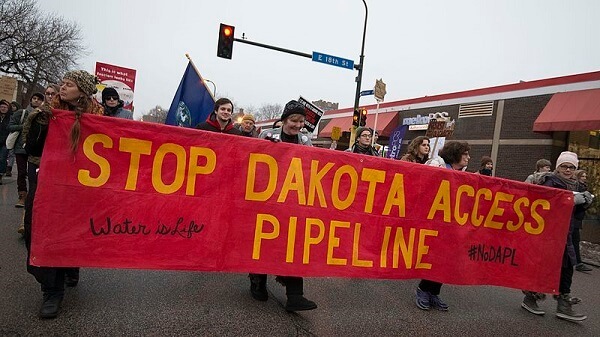 Moreover, they have engaged in campaigns of misinformation about the impact of the project on the environment and the sites of the Standing Rock Sioux tribe. Due to their racketeering and efforts at defamation, the costs of the project have increased by at least $300 million. The developer wants the federal court to establish the full extent of the damage. It is yet another classic ‘Strategic Lawsuit Against Public Participation’ (SLAPP), not designed to seek justice but to silence free speech through expensive, time-consuming litigation. This has now become a pattern of harassment by corporate bullies, with Trump’s attorneys leading the way. The controversy regarding this project is that it would disturb the sacred sites of the Standing Rock Sioux tribe in North Dakota and threaten its water sources. The tribe managed to halt the construction of the pipeline during the last months of the Obama administration. However, President Trump quickly reversed the policy. Uber is adding a new feature to its hailing app. You can request a drive for someone else because this feature asks you if the ride is for you or for someone else. In order to request a ride for someone else, the feature lets you specify a person from your contact book as being the rider for the trip. When you call this action, a request dialog asks you if the ride is for you or someone else. Select the person for whom you’re hailing the ride. Then the driver will get the rider’s name while having the possibility to contact them directly. The rider gets the driver’s phone number and a link that shows where his ride is. The increasing request of a drive for someone else has made this feature possible, Kyle Miller, Uber product manager, said. She said that the new feature will prove of use especially for the aging loved ones of those who request the ride on their behalf. “On the product team, we’re focused on making Uber accessible to everyone in the family, and on making people’s lives easier around the world”. Research done by the product team showed, according to Miller, that users were concerned for the mobility of their close relatives. And with this thing in mind, they have rolled out within the app the possibility to hail rides for someone else. And, while Uber is facing many problems that go from top to the bottom structure of the company, and a vacancy in its senior leadership, the company must retain its market share and its market leadership. So this feature is also a means to expand their potential pool of customer via the proxy of the current riders. One of the two U.S. states to legalize marijuana in 2012, Colorado, has excellent reports concerning the legalization of the drug. According to recent news, the sale of both recreational and medical marijuana has increased the state’s earnings by $1 billion of which $135 million consisted in licensing revenue and taxes. Officials mentioned that most of the additional revenue would be allocated to drug abuse plans, law enforcement, and Colorado schools. Colorado marijuana consumers will be pleased to find out that legal cannabis prices are now similar to the ones on the black market. The prices decreased from $2,600 per pound in 2015 to $1,600 today. The significant drop has made cannabis more accessible to average customers. Moreover, as consumers will buy the drug legally, this could be translated into more income for the state’s government. The most simple reason for this decrease could be to enhance the conflict among modest licensed marijuana dispensaries which are appearing to expand in number. However, big businesses do not seem to be in sight of this decrease as the U.S. administration recently chose not to reclassify the drug. It is still an illegal substance or a Schedule 1. Although the approval of the legalization of marijuana took place at the ballot box, municipalities throughout Colorado were less excited to adopt legal marijuana. Amendment 64 allowed private districts to determine whether to let the marijuana business take root. 168 of the 271 municipalities in Colorado have prohibited the cultivation and sale of retail cannabis. According to the Colorado Municipal League, eight more districts have moratoriums in the discussion. 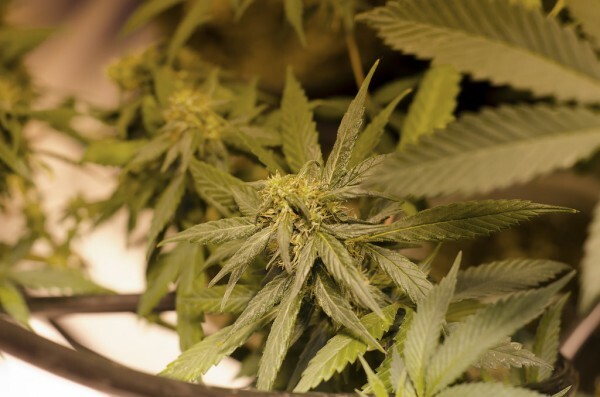 The deputy manager of the Colorado Municipal League, Kevin Brommer, mentioned that his opinion is that officials established measures to prevent retail marijuana commerce because of the anxiety that it could rise in drug usage among teenagers. Moreover, officials fear that the legalization could lead to crime in neighborhoods adjacent to marijuana stores. The state has allowed around 450 retail marijuana stores, not including producing facilities, cultivation sites, and examining locations. Denver has more than 200 such shops which could lead to saturation because of the prohibition in other states. A spokeswoman for the city mentioned that Aurora, a Denver adjacent has implemented a moratorium in 2014 on retail stores to allow the city to create a regulatory system. Travelers were delayed on Tuesday due to an extensive computer glitch with British Airways overnight. Hartsfield-Jackson Atlanta International Airport encountered long lines on Tuesday due to an extensive computer glitch with British Airways overnight. Passengers accused delays at check-in, at the luggage drop and waiting for take-off. Customers were invited to check-in online before reaching the airport because checking in at Heathrow and Gatwick Airports took longer that usual. On Tuesday morning, one of the passengers, Dana Al-Qatami, who was traveling from Switzerland to London, was given a handwritten boarding pass. Dana alongside other social media users stated that the delays continued once they were on the plane. A professional poker player from London indicated that she was queued for her flight in Las Vegas for more than two and a half hours. Although the check-in was slow and long she mentioned that the staff handled the situation thoroughly. Moreover, the staff completed the boarding passes and the baggage labels by hand and the pilot apologized for the inconveniences which were caused by a computer glitch, she added. On Monday passengers in Canada and the US announced delays at several airports due to IT problems. On social media, other delays were reported from individuals traveling from Washington, San Francisco, DC, and Atlanta. A financial analyst from London, Matthew Walker, waited for around two hours to board his flight to Heathrow. 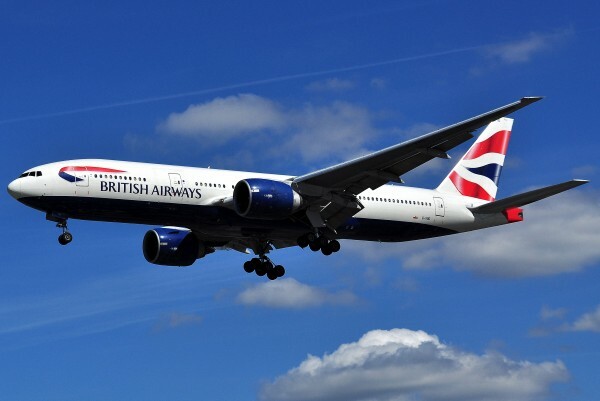 Although he had managed his checked in online, he said that BA workers could not enter their computers to detect which passengers had passed through security. Ewan Crawford, of Glasgow, was at Chicago O’Hare International Airport and twitted that it is never a good sign when water is brought to the gate and that it seemed to him like a worldwide computer outage. The second issue with the service this year might damage the airline’s reliability. At London City Airport, several kilometers east of the Canary Wharf financial district, flights from and to its European destinations were suspended after nine protesters secured themselves together on the runway. The protesters were holding up posters saying ‘Climate Crisis is a Racist Crisis’ and ‘Black Lives Matter.’ They wanted to underline Britain’s environmental influence on the lives of black individuals globally and locally. It was a reaction to lethal shootings of black people by white U.S.cops. During its 248 community water cooperation projects, Coca-Cola returned about 192 billion liters of water, which is more than 115 percent of the water utilized in its beverages last year. This powerful act is in reply to a 2007 War on Want attack which instantly highlighted Coca-Cola’s massive water usage. Coca-Cola then decided to replenish all water utilized by 2020, and thanks to its connections which scattered across 71 different nations, it has managed to do so five years early. It is not the primary project that Coca-Cola has begun to become a more reliable and sustainable company. Moreover, the company has taken some recent steps to refund the societies all over the world. The Coca-Cola scholarship program helps around 1,400 US college students per year by donating $10,000 or $20,000 towards their education. It provides possibilities for promising students who might not have the opportunity to attend the University. Furthermore, Coke it Forward founded on the idea of ‘paying it forward’ is a method which gives customers the capacity to make a difference. The company added vending machines allowing customers to buy a drink and give one to someone in need. The system gives the customer just one drink while paying for two. However, Coca-Cola pairs the donation with another two, indicating that three in total are given when just two are paid for. In 2015, Coca-Cola provided $84.5 million to populations in over 70 nations through grants which helped 300 different companies. More than 95 percent of those donations are centered on the company’s top priorities of well-being, women, and water. Around $26.5 million were given to environmental initiatives and water, $5.5 million went to women’s empowerment actions, $48 million to more extensive community initiatives like healthcare and education, and $4.3 million for community development, arts, humanitarian issues, and culture. Nevertheless, some negative rumors have circled Coca-Cola in the early 1900s. An organization named Maywood Chemical Works presently called the Stepan Company, along with Coca-Cola began a partnership to introduce coca leaves to the Coke Company from Peru. Reportedly, before selling to the soda company, Maywood extracted the cocaine alkaloid from the leaves. The alkaloid is an agent found in pure cocaine powder. The leftover essence is what persisted in the soda company’s goods. 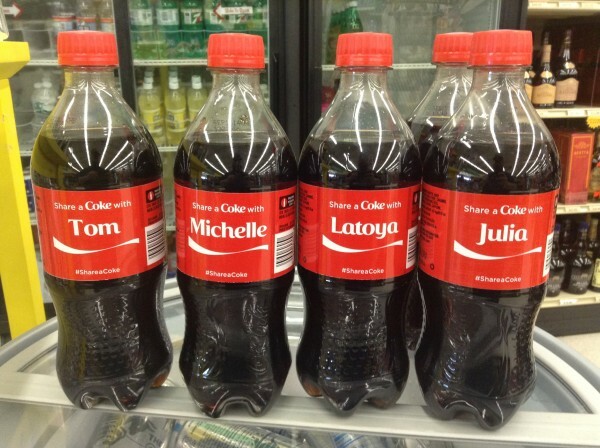 What do you think of Coca-Cola’s good deed programs? Please let us know in the comment section below. 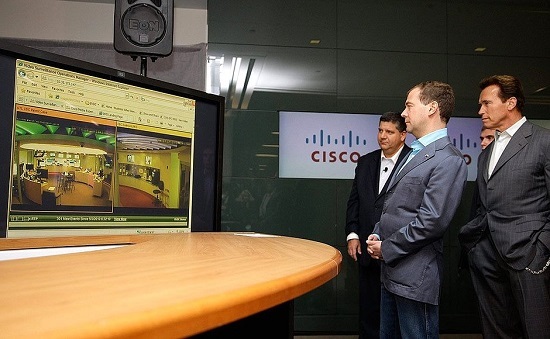 Former Russia’s President Dmitry Medvedev with former CA Gov Arnold Schwarzenegger at Cisco headquarters. The networking hardware giant Cisco Systems announced this week that 5,500 of its employees will be forced to seek another job as the company is transitioning to the cloud business. It is the fourth time in six years that the tech company announces job cuts in the middle of summer. Experts noted that the regularity with which Cisco now announces its summer layoffs may signal that trimming the workforce has become business as usual for the company. Other tech giants such as Intel have made a habit of downsizing workforce at regular intervals. The semiconductor chip maker announced earlier this year that it would lay off 11 percent of its workers. And analysts expect other companies to soon follow suit as cloud computing is gaining steam worldwide. As a result, many hardware makers including server and storage device producers will be forced to face restructuring or die. Cisco is renowned for its routers and switches which could soon no longer be relevant. Cloud technology expansion has added tremendous pressure on tech firms since the start of the year. For instance, Hewlett-Packard had to split up, while Dell is about to merge with EMC. Additionally, IBM is seeking new ways of remaining competitive against Microsoft and Amazon. Cisco hasn’t sunk yet because its router and server business is doing fairly well. According to a company’s report, the business generates 45 percent of its revenue, which is a 7 percent decrease from a few years ago. Despite the slight reduction in sales, its core business remained profitable due to a gross profit margin of about 60 percent, which hasn’t changed in years. The steady profit allowed the company to buy itself some time to rethink its business model. Analysts are now curious to see whether the hardware giant has the will and resources to make the proper adjustments to survive in a cloud computing-based world. Currently, there is a huge demand for “hyperscale” hardware parts that are resilient to immense volumes of traffic. So, if Cisco moves quickly it may manage to hold off rivals in new markets as it has done before. Plus, the San Jose, Calif.-based company faces other challenges such as the software defined networking (SDN) standard which could render the company’s integrated routers and switches irrelevant. Still, analysts noted that SDN is only at the beginning and has a long way ahead before it can revolutionize networking as we know it.